Back in January 2017, retired firefighter and paramedic Luis Garcia had been planning on using the $40,000 in his savings account to buy a new luxury SUV – but then he heard about a groundbreaking new medication that could be used to save overdose patients. Garcia, who spent 28 years answering 911 calls, responded to thousands of calls following drug overdoses. Upon hearing about the FDA’s approval of the Narcan nasal spray, he knew that he wanted to help deliver the medication to as many people and communities as he possibly could. “I have never tried drugs, been arrested or been intoxicated,” says Garcia. “I don’t make any money from the addiction field. Nobody I know has been impacted by addiction, but this is a disease that could affect anyone. So instead of using $40,000 to buy a new car, Garcia used the money to buy 800 doses of Narcan and give them away for free. The 52-year-old retiree then started a GoFundMe campaign to continue raising money for more Narcan kits. Since he created the page one year ago, it has raised $30,000. 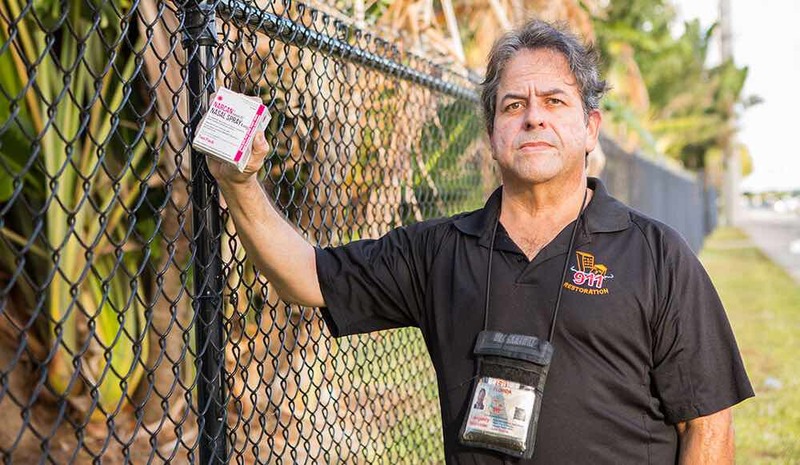 Over the course of the last five months, Garcia has used the money to host dozens of public awareness classes across Florida and doll out over 1,000 doses of Narcan. According to the ex-firefighter, 94 of those doses have already been used to save someone’s life. Even more admirable, since Garcia often spends his free time listening to a police scanner, he has rushed to the scene of 11 overdoses as a civilian so he could offer his own supply of Narcan to resuscitate the victims. Garcia now hopes to start a nonprofit so he can buy two doses of Narcan for $75, rather than for $50 a pop. The fix is not in a drug. It is in a change of heart and Jesus is the one who can heal them.